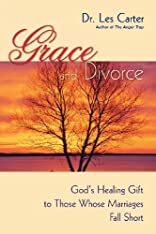 Grace and Divorce, written by noted author and psychotherapist, Dr. Les Carter, provides sound theological thinking on divorce and wise and compassionate suggestions for reframing and deepening our understanding of this difficult and controversial topic. Using stories from his practice as a therapist, Dr. Carter offers healing to both those who divorce and those who know and love them. He explains that Jesus never intended us to be so fixed about right and wrong and so judgmental that we lose the ability to love those who do not meet His perfect standards. With kindness and love, he shows that the wonderful gift of God's grace is the best way to respond to people facing this trying life challenge.